Starting this month, we will be reviewing things we think you might be interested in. That includes movies, books, video games, and board games—which is what we’re starting with. We’ll summarize the thing, then include a conversation all of our reviewers had after trying it out. 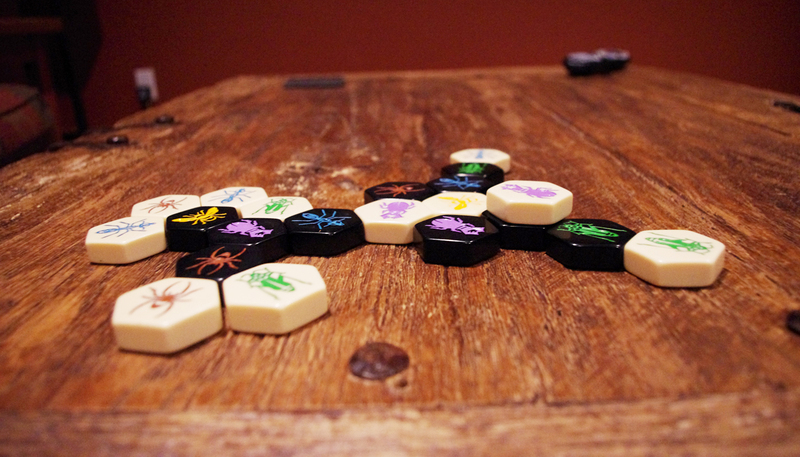 This month, we’re reviewing Hive, a board game that combines chess and dominoes. We also want to read your reviews of whatever you’re spending your time with lately. Submit a review by the end of the month, and you’ll be entered in a drawing to win a copy of whatever we reviewed in the previous issue. Find details on the submission page. I learned about Hive when I was looking to buy a chess set. A local game store recommended this instead, and after playing for a while it’s clear why. Like chess, Hive is a two-player game where the goal is to capture one of your opponent’s pieces. But instead of the king, you’re out to get the queen (as in the queen bee of the hive). Also like chess, you have different kinds of pieces, each of which can move in different ways. You have spiders that must move exactly three spaces, ants that can move as many as they want, beetles that can crawl on top of other pieces, and grasshoppers that can jump over other pieces. But unlike chess, instead of moving your pieces according to squares on a board, your pieces are the board. It’s a bit like dominoes: the pieces are actually tiles, and you put them in play by arranging them on the other tiles already in play. But unlike dominoes, after they’re in play, you can move them around. In other words, during most turns you can choose whether to add another tile or move one of the tiles you’ve already played. It’s sort of like you’re creating a chess board while playing the game. You keep going until one player’s queen is completely surrounded. After I gave some other TIP staff an overview of the game, we spent an afternoon playing—partially in teams, since we only had one set. Here’s what we had to say. Ivan, Media Coordinator: Should we start our conversation about Hive: The Game of a Thousand “You Can’t Do That”s? Katy, Director of Marketing and Communications: Hahahaha! Rule #1: remember what color tiles are yours. Ivan: I’ll go on record as saying that I like this game. You might develop a basic strategy, but you won’t always be able to rely on the same tactics game after game (especially when you’re playing against someone like Katy who is likely to go rogue and play fast and loose with her beetles). Katy: From a family standpoint, it is super portable. It requires tiles (stored in a bag) and a flat surface to play. That’s it. Plus, it’s a great way to lose yourself in shorts bursts of highly focused logical thinking. Deceptively simple in terms of rules, like chess the implications of each move are enormous and it’s a whole lot of fun reviewing the possibilities of each move before you make it. 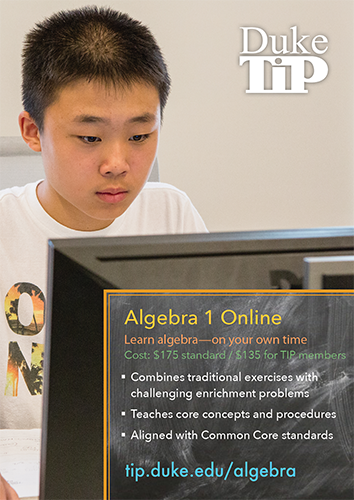 I think it’s a great choice for parents who want to play a game with their kids that develops critical thinking skills. But more than that: it’s really FUN. Katy: Brevity = so not my strong suit. Evan: It takes a while to learn the rules—then takes a little longer to figure out the best way to “set up” your pieces. That was the most important step for me: getting a strong enough grasp of the rules that I could actually think a few moves ahead. Ivan: Speaking of brevity, it’s POSSIBLE for this game to played quickly. Less so when you play as teams, apparently. Catherine: But if you’re on teams, brevity is not the name of the game. Although as a team, it is fun to debate strategy and possibility, only to then see the opposing team wipe out your planned strategy in one unanticipated move. Evan: Yes—playing this game in teams is a sure-fire way to work on communication and teamwork. It’s challenging to get everyone on the same page quickly, especially when everyone is seeing different possibilities. Katy: I drove home last night thinking about the biggest lesson I took away from our first session with this game: ants are so much more powerful and useful than they appear to be at first glance! Ivan: Are any of us actually good at chess? I wonder if a chess player could step in and obliterate us immediately. Like—apply some obscure chess strategy to a game about spiders and ants. Katy: I suspect there are some strategies in common with chess—and definitely, to win, both games require the same sort of thinking skills. Evan: I’d think that the ability to think ahead and visualize all the possibilities would carry over for sure. Ivan: How long would it take IBM Watson to learn this game? Surely it has fewer variables than chess proper. Catherine: Or does it have more variables than chess, since you’re not constrained to a board? Evan: Imagine this game with double the bugs (types of pieces). Katy: I like the way you think, Evan—maybe that is why you are were so much better at this game than me? But, yes, I thought that playing in teams was actually a really fun team-building exercise. I’m thinking families would like that aspect of it as well. Parents versus children, perhaps? I’m thinking a few moms and dads might be surprised. Especially if their kids are in TIP. Ivan: We’re going to get in trouble with TIPsters if we start calling spiders bugs. Catherine’s right, though. You build your own playing surface as you progress. One more thing I thought of: the very first game we played featured a big comeback. Hannah and I were in dire straits, but we got out of trouble and ended up winning (biggest moment of my 2019 so far!). That’s a big plus: it’s not like Monopoly, where you often know who’s going to win after only the first time around the board. Catherine: That’s a good point! One missed opportunity for one team/player can turn into a major comeback for the opponent! Hannah, Staff Specialist: As one who is not a chess player and can never remember what piece can do what, I found it much easier to remember what each “bug” was capable of since their abilities somewhat correspond to characteristics of each “bug” in real life. Ants move fast and don’t stop unless they’re eating, spiders jump in some short series, grasshoppers hop and not sideways, the queen bee is, well, the queen bee, and beetles seems like they’re asleep or meditating most of the time like mini Buddha bugs. Move very deliberately. That is, at least, how I found myself keeping track of what could do what. And that was an amazing comeback! Hannah: We were under-utilizing our ants. Once Matt pointed that out, I really started seeing the possibilities. [Editor’s note: You’re welcome, Hannah.] Those ants are clever little things! Catherine: That’s true, they are! In the first round, both teams also (inadvertently) built long chains of tiles, not realizing that we were then trapping in some of our most valuable little creatures. Ivan: Yes, I feel as though the ant puts the finishing touches on more games than any other bug. Evan: The whole idea of trapping tiles adds a cool element to the game. I enjoyed trying to trap all of Katy’s ants and queen early on hehe. Another bonus is that it seems this game could move pretty quickly, in comparison to other games like it, especially when playing one-on-one. Katy: What I wanted to do, and something that parents participating in or supervising games might want to do, is to ask Evan when his strategy started to evolve and why he chose to do what he did in beating me. That would have been a great learning experience! Ivan: There’s a whole YouTube channel called “Play Hive Like a Champion.” Oh, and there’s an expansion pack that includes pill bugs?! Catherine: So it sounds like we’re definitely playing again! Katy: Pill bugs? Otherwise known as rollie pollies? I loved those as a child. But their only superpower I know of is to roll up in a ball. Can’t wait to see how they can move! Who is buying the expansion pack? Evan: Did you know they are actually crustaceans? I played with those as a kid too. Remember it like it was just yesterday…wait, was it yesterday? ?